With limited space to manoeuvre and multiple heavy machines working in close proximity, roadside infrastructure projects can be a dangerous worksite. To reduce the risk of collisions between plant, people and utilities, geospatial positioning equipment distributor Position Partners has introduced a range of proximity detection systems for civil construction applications by manufacturer Blue Electronics. Although this type of collision awareness technology was initially developed to increase safety in mining applications, Blue Electronics have implemented additional features and failsafe measures to make them suitable for civil projects. Harry Katsanevas, Position Partners Executive Manager, says civil projects pose unique challenges and have different requirements to mine sites. “Mine sites operate differently to the civil construction sector as they often have a number of established processes around movement of people and equipment on site through zoning and other methods. This is not the case on many civil construction sites, which have equipment moving positions daily and numerous stakeholders and workers entering and leaving,” he explains. Blue Electronics’ proximity detection devices are designed to warn operators and workers when they get too close to other machines or people on site. They can be fitted to heavy and light machinery including excavators, dozers, skid steers, graders and supervisor vehicles while workers on foot, such as surveyors wear a Personal Proximity Device, on their clothing. The devices can be installed on a machine in five minutes, making them a viable option for every machine on site. Collision awareness systems are designed for machine-to-machine or machine-to-asset use and can be configured as required to warn operators of a potential collision. Collision avoidance is the most advanced form of this technology, where machines can be automatically slowed or stopped by direct connection to the hydraulics. Blue Electronics’ systems have been used successfully in this way for rail applications on maintenance machinery. The systems use GPS and satellite-based augmentation systems to track the position of all devices on site to within a metre. with Bluetooth used as a failsafe measure in case of GPS dropouts. For increased accuracy, a base station can be added to deliver 25-millimetre precision, which can be helpful to avoid critical assets such as gas pipes and other utilities. Mr. Katsanevas says because the devices are able to collect accurate, real time data on the position of machines and people, the risk of injury is drastically reduced. “It means two machines are able to work blind in the same area and avoid any proximity issues,” he explains. 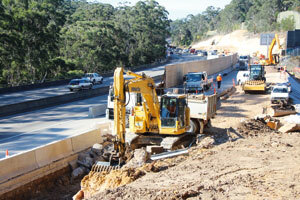 A virtual wall can also be implemented to provide additional protection for roadside construction. This is done by designating an area where a machine can operate and outlining the boundaries of the site. This virtual wall along the edge of a site alerts operators when they are leaving safe working area. When the device detects a machine is about to pass through this invisible barrier, alerts will sound to reduce the risk of a potential collision with moving traffic or other assets. The team at Position Partners found many larger construction companies were looking to get further clarity about what is happening on the job site to ensure workers are managed in the most economical and safest way possible. The devices are also able to record GPS data and map the movements of workers, visitors and machinery on site to help site managers keep track of the fast-paced environment. Mr. Katsanevas says a significant amount of research and development has gone into adapting the technology from the mining sector to fit civil construction. 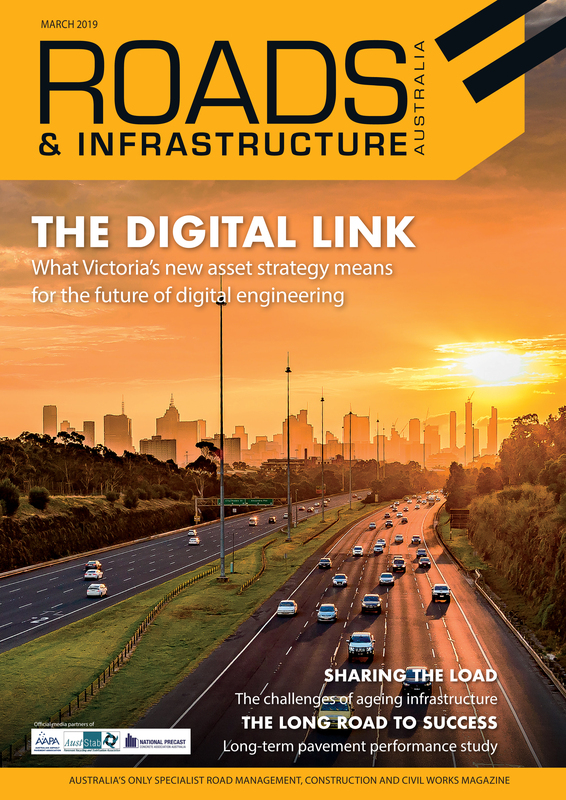 “Australia is a fast adopter of new technology when compared with other countries, so we have to make sure the system is simple, reliable and easy to deploy in order to meet the stringent demands of our industry,” He says. Position Partners offers distribution of Blue Electronics solutions throughout Australia, New Zealand and South-East Asia, with numerous projects already utilising the technology to improve safety and transparency on site. The company provides support through dedicated centres for its technologies in most cities and has established support channels in regional areas. To ensure maximum success with the technology, customers are offered comprehensive product training by Position Partners when taking delivery of their proximity detection systems, Mr. Katsanevas says. “Technology is being developed and advanced so quickly, but smart devices are still ineffective if managers and workers aren’t brought up to speed,” he explains. In the future, Mr Katsanevas believes this technology will become an industry safety standard. 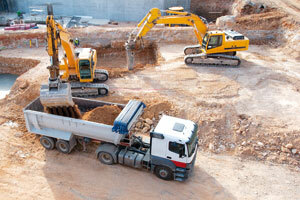 “These types of devices will be embedded in the machinery and systems of construction. You won’t be on a job site without these crucial control systems in place to help protect workers and equipment,” he says.